Why is cash so sticky in our society? Many of us have argued for the need to build convenience, security and ubiquity for digital payments. And then cash would start receding. No debate there. But we forget that as individuals our brains are wired to go back to cues that are triggered at the sub-conscious level. We are not always the rational individuals economists would have us to be. Our decisions are influenced more by emotions. To appeal at the emotional level, we need either a villain or a hero. 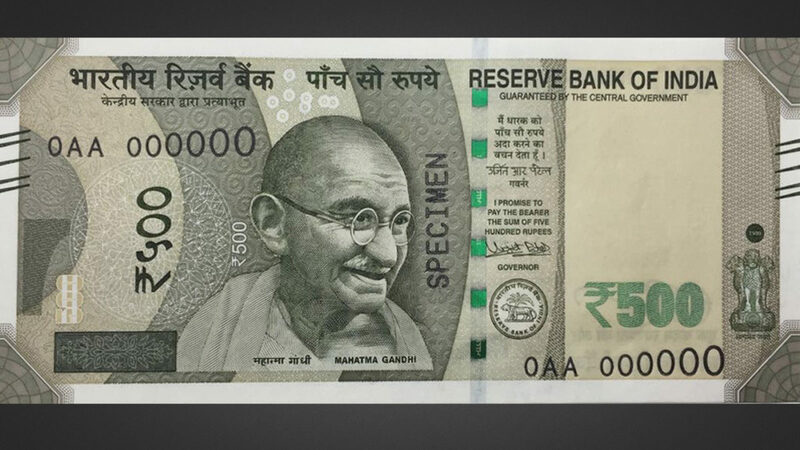 The currency carries images of Mahatma Gandhi, of the National Emblem and now of Mangalyaan etc. These are symbols of national pride. We are wired to feel proud to hold a piece of paper with these images on it. We have traditionally celebrated an auspicious occasion with gifting loved ones with money. This association of gifting currency with happy moments is also tough to break anytime soon. Again deeply rooted positive connect. When the Prime Minister announced the ban of old currency notes, the villain being chased was corruption. Not cash. So we never really took the storyline that cash is bad. I don’t think any country would even want to walk down the path of trying to build a negative connotation with its currency. Hence a story where cash is the villain may not work. We need something else to pitch Digital Payments at an emotional level. This is part 1 in a series of posts where I try to understand why Cash is sticky? What are the some of the obvious things, we may have overlooked in our zeal to digitize payments. Here’s part 2 , wherein I talk about why its a tough journey moving away from cash – too many choices and a hurdle-ridden on-boarding process. Unit Economics is all we hear these days in the consumer technology world. Unfortunately for many start-ups seeking venture funds, this is the biggest hurdle they need to cross to build a strong case for their business. I will not go into the definition and relevance of Unit Economics. That’s well documented here and here. Or just Google it. Lets refer to Microeconomics 101 for our discussion – Marginal Costs(MC) and Marginal Revenue(MR). We all know that its a healthy sign if Marginal Revenues are higher than Marginal costs. And this delta (MR-MC) is what is unit economics. On the other hand, if we are losing money on each transaction, either we see the losses reducing or we stop growing transaction volumes. At least rational individuals would choose to do so. Or so goes the basic Economics assumption. A big chunk of a start-ups costs is the customer acquisition cost. ( I am excluding businesses with very high repeat volumes in early days where the operating costs contribute heavily to the overall transaction costs). Most start-ups need to market their products and services. They are in a continuous state of transaction ramp-up along with concurrent improvements in experience or efficiency. And in a world where most advertising/marketing channels are bid/auction model driven – this translates into the marginal costs being highly volatile. How volatile? In the early days when you don’t have the luxury of brand-pull or of time, almost 60-70% of transactions may be coming from Google Adwords/Facebook/Ad-networks. Meaning 60% of your business is not insulated from pricing shocks. Bid-rates may vary as much as 30-40% to maintain the same positioning. Maybe more, if there is a competitor who has just raised a round. Also, if you are competing in a category where big brands play, anything can happen. E.g. At Deal4Loans, we had seen bid-rates on our key-words jump significantly every time a competitor raised venture money or a bank launched a new digital campaign. 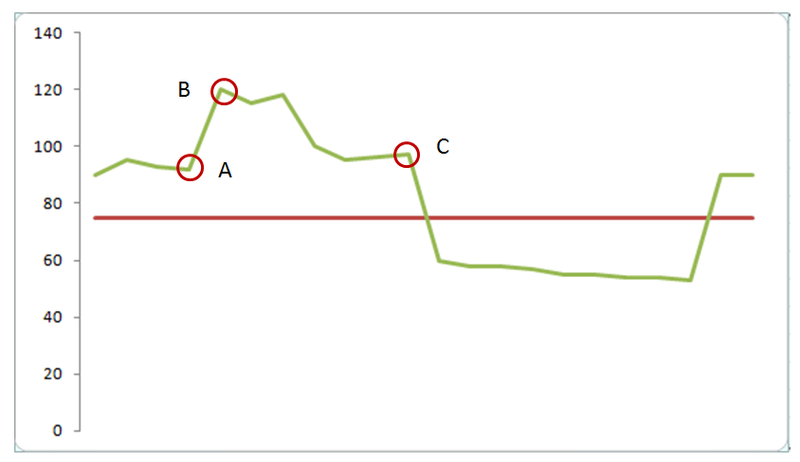 Add to this that the conversion-rates of your campaigns have not yet stabilized. Remember, these are early days, you are experimenting on your landing pages, and funnel optimization is still underway. So the final cost per account gets even more volatile. Theoretically, if you could pass on the burden of increased bid-rates and hence the ups/downs in marginal costs on to the consumer, your unit economics would be safe. The neighborhood vegetable vendor who has daily-prices does exactly this and is hence able to retain his margins. But this is rarely possible. Pricing is just not that elastic. Most mobile/web start-ups can not /do not change prices so frequently. We know that the bid-rates can inflict wild fluctuations(as seen in pt1) in the cost of acquisition, thereby making it unpredictable. 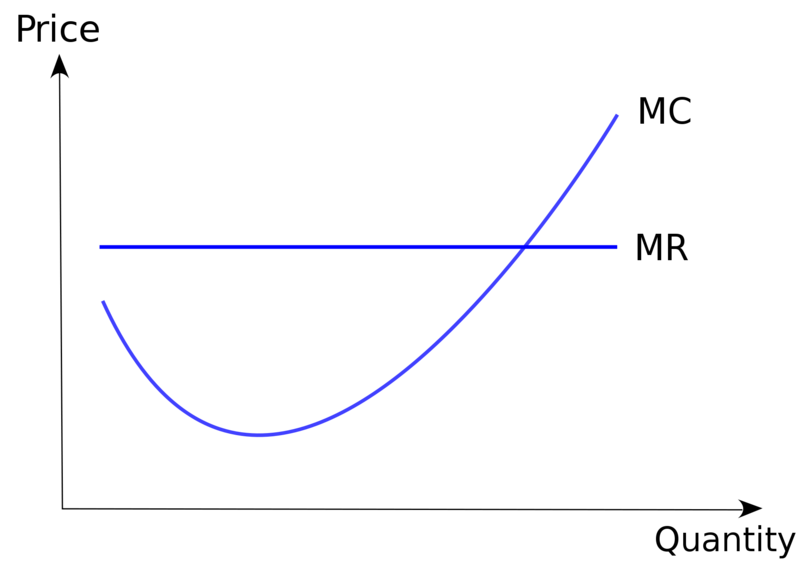 But a bigger challenge is that the Marginal Cost curve is not smooth. As a start-up you are experimenting with multiple channels. Success in any one will bring down the blended MC immediately. Referral/Viral coefficient and % of in-bound of the campaigns can impact the costs significantly. e.g. One PR mention may bring in huge self-select traffic. SEO traffic which is typically very predictable can also swing wildly with a new Google update as we saw with Penguin and Panda. Keep Experimenting. Do know that customer-acquisition at optimal price is a moving target. You are never really truly there. It can always be better. Invest early in content. In-bound has significant ripple effects. Raise money but don’t throw it all on branding. Consumer memory is short lived. Discover and test more channels, unlock access to more segments. I would love to hear from bootstrapped ventures as to how they are/have handled the customer acqui costs. What worked, what didn’t? Acquiring New To Bank (NTB) customers is a key agenda for most Digital Heads at Banks. Digital channels are tracked exhaustively. You can measure the return on each dollar spent. 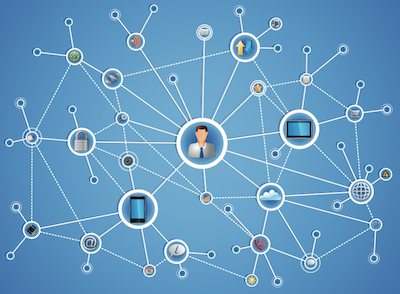 Digital channels allow data to flow at higher speeds. This could translate into better context, targeted products, straight-through-processing, upfront checking of applications etc etc. Regulatory changes are also making it easier to acquire online – Aadhar database, eKYC, wet signatures to go away in some instances etc. Here are 3 seemingly simple tips for anyone who is doing NTB acquisitions today at a banking set-up. 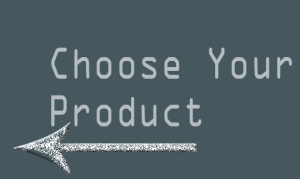 Which product will you focus on to get more customers into the bank? Many would say, we do not have a choice as each business line would be relying on the support of digital channels. Be as it may, it might be prudent to take a step back and understand the advantages of choosing a particular product for consumer on-boarding vs another. Does the product start giving me more data and insights about the customer? Can I build strong contexts to pitch the next product. Any payment product would be a good bet as it starts building a lot of relevant data points about the customer. Is this being sold or the customer has a well articulated need? Loans should see a higher conversion as against credit cards because the customer has a need. But the scenario may change if the card is free and loaded with offers. Is the process straight-through? If not, how many steps are there? The higher the number of steps, lower would be the conversion rates. Competition – given that you are not the only bank trying to talk to the customer, the kind of marketing money it takes to interrupt a customer would increase for the segment with higher competition. Back in 2007 the bid rates for Personal Loan keywords moved almost 100% in less than 6 months. Every bank in India was focusing on acquiring Personal Loan customers. With all the tools available for tracking, doing A/B testing it is so much easier than before to manage the drop-outs in the acquisition channel. Over the years, industry has also learnt and created a best-practices library. Use it. E.g. Acquiring through partners who have data on customers is more efficient and reliable. This is why most banks are exploring SME financing through ecommerce platforms. Allow applicants to save applications and continue later. Across channels. Authenticate the communication fields upfront (email, mobile). This allows you to follow-up on leads more proactively. There are no permanent rejections – a customer who is not eligible today may be eligible tomm. Except may be those who are already over age :-). What has changed significantly in the last decade is the amount of data prospects and customers are generating across various channels and touch-points. The future (if its not already upon us) of digital acquisitions is data-led. Deep integration with portals to get fresh data about SME’s transaction, reputation, growth trajectory etc. Its easy to see that as the richness of data improves and also its freshness, the credit decisioning becomes better. But this is not easy to do. It requires bringing together credit , product and digital teams into a room and understanding clearly the opportunities ahead of us. Some banks are already working hard to evaluate the new data-points available and calculate their influence on the traditional credit models. Its a matter of time before this becomes the new normal. Nadal is the king of clay. Given a choice of surface, I guess he would choose clay 9 out of 10. We all get it – one should play to one’s own strength. Its obvious in sports, but most of us fail to apply the same rule(s) in business. As most banks embrace digital, this is one rule we should not forget. It sure can be overwhelming to look at such a big list. One might also be tempted to look at the success stories of the likes of ICICI, Citi or HDFC Bank and try to replicate their strategies. Will that work? Chances are it won’t ! Why? Because those banks are different. Different in terms of their customer profiles, their capabilities and their partner eco-systems. When I look at the RBI’s data on ATMs, POS, Credit and Debit cards for Nov 2014 – its clear to me that for PSU banks, ATM presents a unique opportunity. Digital experience starts from a conversation, an interaction or a transaction – and for PSU banks these are happening in plenty on their debit card portfolio at the ATMs. SBI has 23.6K onsite and 22K offsite ATMs.And they had 2.4 crore ATM transactions ! What opportunity does the ATM transaction present ? E.g. the bank knows where the customer is at that point of time. Using solutions like mTuzo they can share Offers-near the ATM and migrate customers from ATM to ATM+POS. Citibank has just launched Funds Transfer functionality through ATMs. Or one could do mobile recharges. PSU banks do not have an aggressive sales culture. This could be used to their advantage at the ATM, where its not a warm body pushing a product but maybe the thank-you screen which is “suggesting” a product basis past behavior of the customer. Hence, for any bank embarking on a digital journey, its imperative to ask – What is our strength? 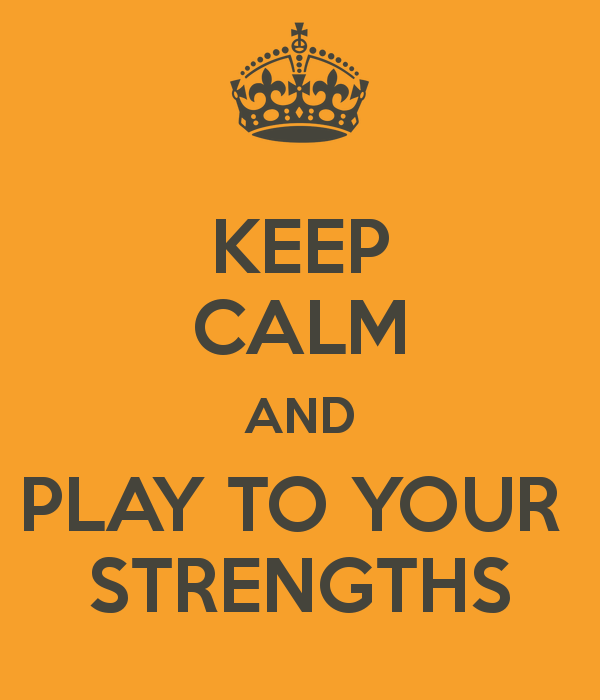 And align the roadmap to play to these strengths! I believe that smart matured digital players will need to develop deep integration with their partners. With the growing consumption of digital media, there is considerable noise that a consumer is now exposed to. This would mean that the brands have a fast shrinking window of opportunity where they have their prospects attention. Most brands do understand this and hence have started investing heavily in better designs and more meaningful content. But when it comes to acquisitions, it seems that this underlying assumption is usually forgotten. Maybe the acquisition teams are overwhelmed by the amount of digital data they are expected to digest and optimize for. In order to increase the leads volumes, most brands usually explore new partners who have possibly captive audiences. In many cases these captive audiences are merely email id lists/bases that the partner has sourced not even built. And this might be the root-cause of my recent bad experience with a MNC Bank in India. I have been using a premium variant of this bank’s Credit Card very regularly for the last 8-10 years. I have my email registered with the bank’s card team where I regularly receive official communication from the bank. Interestingly I received am email for a gold card from the same bank on the same email id. This wasn’t a proposal to downgrade the plastic, but an email to take up a new card from the bank. I was confused. So I checked the email headers and discovered that this was sent by some partner of the bank who had my email id on its base. The bank didn’t scrub the partner’s base for emails already registered by existing customers. I can understand why the bank would not want to scrub and give back a base to the partner. Because then the partner could do a delta check and figure out which email ids are registered with the bank. Nevertheless the bottom line is that the customer experience was significantly compromised. So what could the bank do? What should other brands do? I feel they need to pick & choose partners carefully and then deeply integrate with them. They should in fact look at sending emailers from their own servers so that scrubbing is done real time and the partner just gets a report of how many emails were shortlisted for the blast rather than a list of which ones were shortlisted or rejected. Even if the partner is just worth the customer base it holds, banks would need to step up and control the subsequent stages of the lead generation process. On personalized platforms like emails, its customers can not be treated like New To Bank (NTB) applicants. In today’s world, we talk about data quality and data velocity. Maturity in both these aspects is possible only through an eco-system mindset and not in the current vendor-client approach. It would definitely add to the cost of acquisitions. And there might be other better, cleaner solutions but the current process just does not cut it. Very few of us embrace change.Most of us would try our best to avoid any change in the status quo. Especially if it drastically impacts the way we work. Hence any initiative to convert an offline banking/insurance sales channel into a digitally-enabled online one, is sure to face a lot of resistance from the existing teams and one must be prepared to weather these strong head-winds. While there is no single solution which you could adopt, but a deeper understanding of what causes this overall resistance, would help you understand what needs to be done in your specific instance. Sales force was not kept in the loop. Implementation was just thrust on them one fine day. Time and again we see that the lack of confidence-building measures lead to a clear mistrust in the new system and its capabilities. As the CIO or project owner you should start engaging with the end-users early on. Talk to the sales managers, their executives and articulate the clear value-add this would bring to their lives. Tell them how this system would make them more productive and help them grow in their art. Keep them posted about the progress of the implementation. If possible try and incorporate their feedback in the design/feature specs of the chosen solution. This would create local evangelists for your project and make your implementation so much smoother. Fear within the sales team, due to the sudden transparency. One of the key reasons, most enterprises wish to move their sales teams onto a digital platform is to bring transparency in the sales engine. There is an accurate real-time understanding of the key business metrics and hence a realistic estimate of the business pipeline. While this might be great for the Head Office staff, this is a matter of great fear for the sales executives and junior sales managers. They know that such a system would mean that anyone can drill down deep into a specific case and verify the details. Or the fact that the country head can also track each person in the sales machinery. This can be really intimidating for a junior sales resource. Imagine a magician’s trick being laid threadbare by a scientist – surely the magician would feel kind of naked. The way to address this fear is to ensure that the senior management refrains from micro-managing the sales team in the early days of the implementation. They should control the urge to dig-out a specific case, jump all hierarchies and talk directly to the sales manager. If your organization is not already used to a hands-on approach by the senior management, such jumping-of-hierarchies would spell disaster. Information Overkill. One of the advantages of any digital solution is the fact that it can store a whole wealth of data on the prospect, customer, channel and hopefully churn out beautiful reports in the process. If one gets carried away with such beautiful-reports-promise, the system might tend towards an information overkill.And the sales staff would be wasting time collecting “un-necessary” information when they should be out there talking to your prospects. Hence try and look at the system implementation as a phased journey. Get the basic feature spec out, build traction and revisit for further enhancements. It might be a good idea to read the MVP (Minimum Viable Product) approach now being promoted by most Silicon Valley Start-ups. Non-existent or inefficient mobile interface. This is really relevant for enterprises where the sales happen face-to-face rather than on the phone etc. If your sales team is expected to be out in the field, your solution should go along with them. Many enterprises fail to imagine and develop a mobile solution and then focus on work-arounds. There are companies that expect their sales teams to call up a central number after each visit and update the details. In some others, the agent first notes the feedback on paper and is then expected to come to an e-enabled site (branch or café) and update the system online. In today’s world with such a high smartphone and 3G penetration, a mobile-first-interface would show a clear value to the sales teams. Cluttered Design or too many screens. Unlike the glamorous world of consumer solutions, enterprise solutions have not been blessed with the talent of awesome designers. I personally feel this is a big big drawback because end of the day, the enterprise solution user is the same person. He would react the same way to a better design. If he has a great intuitive interface on his Gmail, Dropbox and Facebook, why not on his Leads Management System (LMS). Complicated Incentives. Increased transparency of the sales engine, suddenly throws up a bunch of metrics that the business managers love to track. While the incentives are simple to calculate and manage in the offline world, a LMS implementation usually comes with a highly complicated incentive plan. Most sales agents fail to have confidence in a new incentive system if there is no baseline. DO NOT coincide your system go-live with an incentive model change. Better idea would be to track the metrics for a while, show the agents how they are anyways performing on these metrics and then gradually build these metrics into the incentive system. Such an approach would mean that the sales team can “calculate” their possible incentives on Day 0 and be motivated to stretch their performance. Lack of helpful features. This usually stems from the lack of an agent-centric design (which is discussed separately in pt 8). Build features that really help them sell better, help them save time (e.g. tablet based insurance quotes means zero error in policy submission and hence no rework). Lack of agent-centric design. Enterprise solutions usually fail to deliver on their promises because of their inherent design (or architecture). 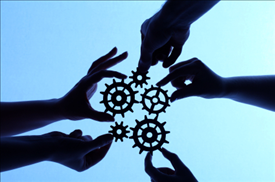 Many an enterprise CRM solutions are not designed with the customer at the center. Similarly if our sales systems are not designed by keeping the agent at the core, it surely would see a lot of resistance and would fail to deliver. A good design where agents were involved from a very early stage, would take care of most of the issues mentioned above. Lack of training before and during roll-out. Even if you are working under serious budget constraints, find a way to train the end-users. Build a knowledge repository, run a small help-desk for them to call/reach for any immediate help. Find and promote early adopters. Even better find evangelists who carry a collective sense of ownership in the system and its promise. This needs to be done at all levels. I remember when I was rolling a LMS for the bank that I was working for, I had to convince the business head about the need for such a solution. 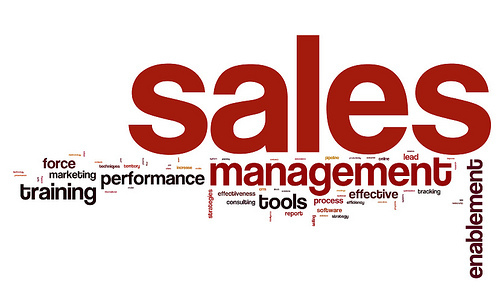 All the usual advantages of a scientific way to run the sales channel couldn’t cut any ice. I had to finally show him the maths around system’s ability to uniquely pull-out non-contactable cases from his tele-calling units and hence a smaller base to work on for subsequent months. This simple feature was powerful enough (with enough cost savings on back of lower manpower requirement) for him to get excited and seek his business as the first one to cut-over. Version 2.0. Do you hear what your users are saying? Are you evaluating the impact for the new features or changes they are asking? How soon can you give them a version 2? Its not so much about the number of days they end up using the version 1. It’s more about how soon, they start believing that this is their system and the company hears what they have to say. Study how your users are actually using the system. Try and shadow some of the end users to see if they come up with their own work-around, own ways of using a feature for something that it wasn’t really meant for. What are they not using at all. Why? This is usually a great surprise and teaches most system designers a whole lot of stuff they had never imagined or seen before. Try and document these observations. Analyze and see if they can help you in a more acceptable version 2.0. In summary, some level of resistance is inevitable once you decide to digitize your sales team. But how you design your solution, how you engage with the end-users and how the enterprise uses in the early days, can decide if this will be a success or not.